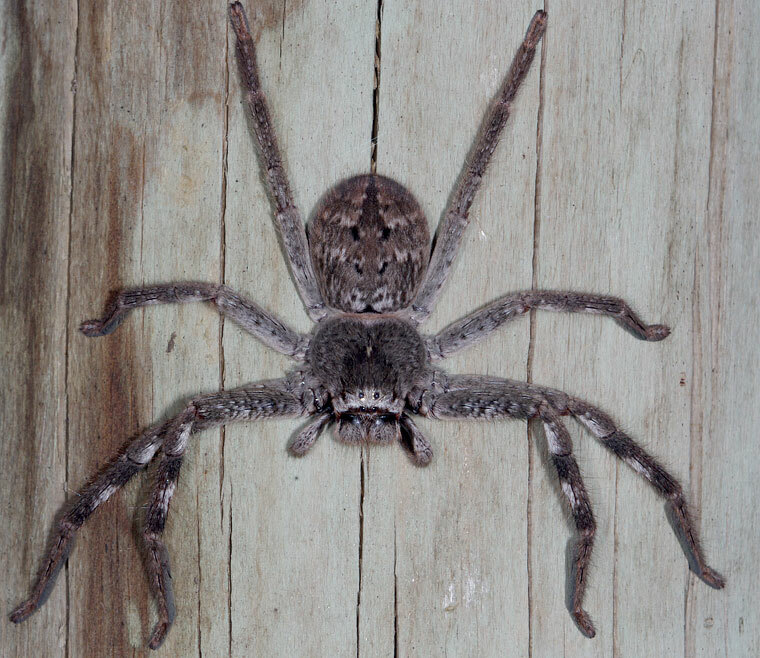 A grey, medium-sized to large huntsman in Victoria, often seen around houses and gardens. 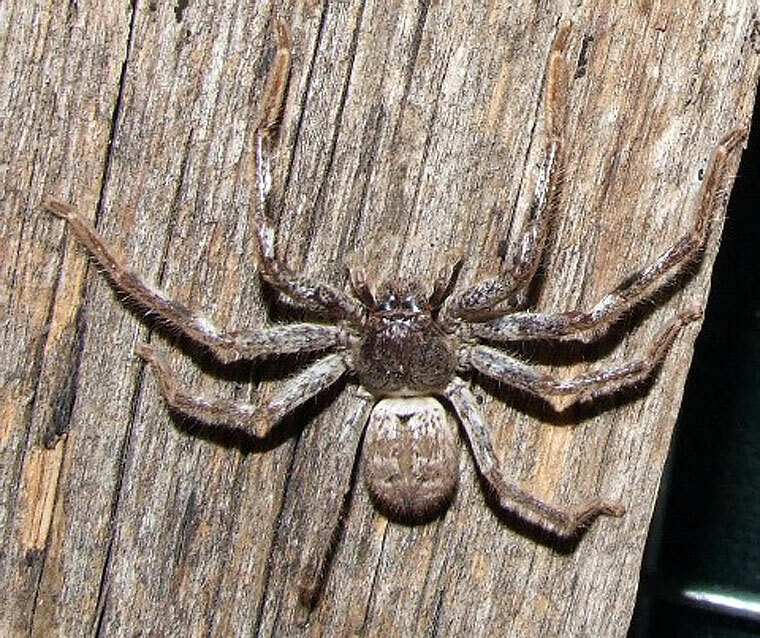 Despite its name this spider has also been recorded from NSW. The holotype of Isopedella victorialis was collected at Abbotsford, Melbourne in 1979. The sternum, or chest area underneath, is black and the abdomen has a streak down the middle, two pairs of black spots, faint grey-white lateral patches and a 'Y'-shaped marking somewhat towards the rear. Underneath the abdomen has an indistinct badge outline. ♀ 21mm ♂ 14mm the front of the carapace is white white behind anterior eyes. Legs are brown with clumps of black hairs and clumps of white hairs. I. victorialis occurs in southern Victoria from Rye, south-east of Melbourne, westwards to Camperdown, north-west to Woorndoo and north-east to Wangaratta. It differs from I. flavida in having a dark greyish colour and a darkly spotted abdomen underneath.